1、Please provide us your email address, then you will receive an email of our payment application, After clicking at “PAY NOW” button, you can follow the instruction to complete the payment. 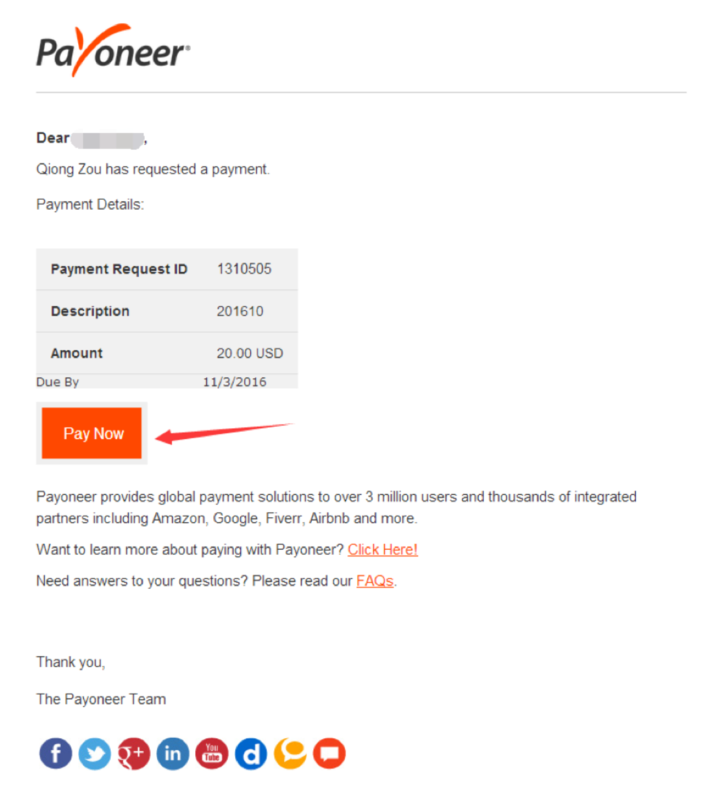 If you have payoneer account, you can log in payoneer website to make payment directly to the below account:bill@foxrender.com. 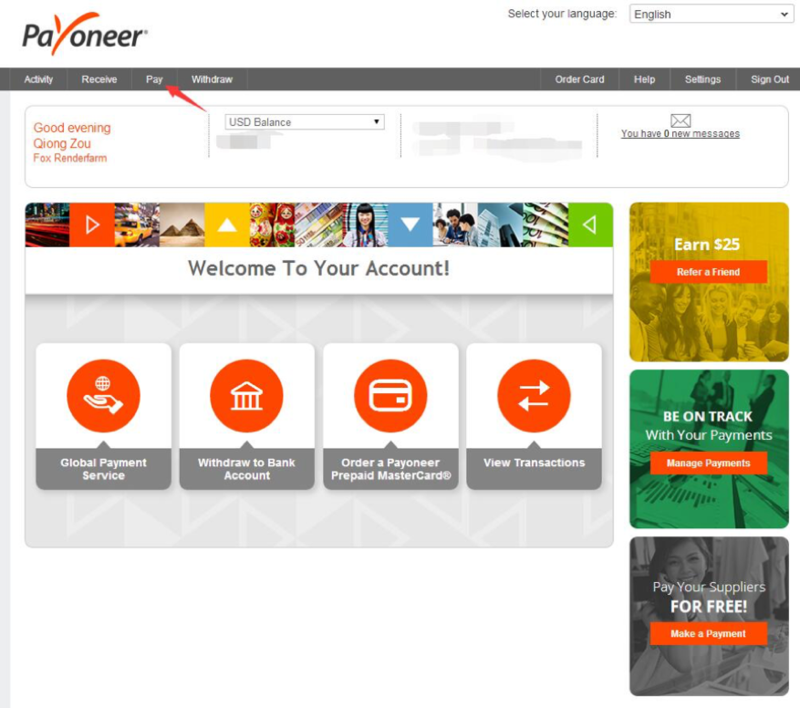 If you don't have payoneer account, you can make a payment by Credit Card/Bank Card. 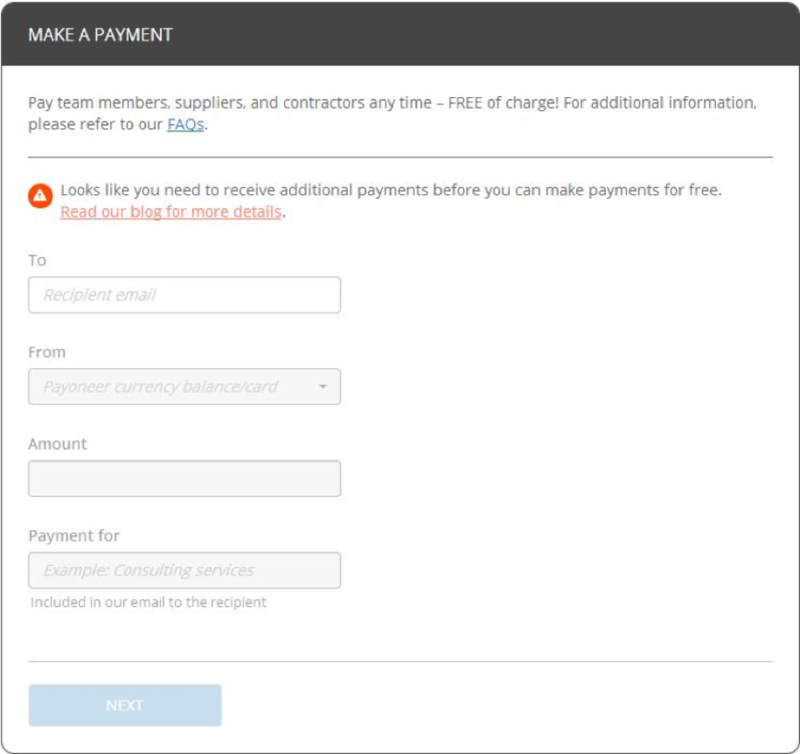 Please provide us your email address, then you will receive an email of our payment application, After clicking at “PAY NOW” button, you can follow the instruction to complete the payment, (If your payoneer account is American account, you can use credit card or debit card to finish your payment, Secondly, if your account is not American account, you must use credit card to finish your payment) Thanks. If you make the payment at local bank , please fill in different payee according to the receving accounts' list below based on the currency.